Everything seen rests on that which cannot be seen by mortal eyes. The prison ship, Freedom, crash-landed on an uninhabited planet. Generations later, Alistar and Sabel, both seventeen, accept an arranged marriage and are commissioned as heroes. They’ve always wanted to save the world. On their wedding day, disaster strikes. 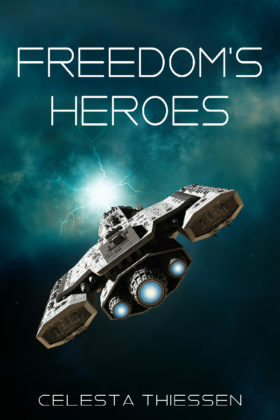 Alistar and Sabel launch the Freedom. To save their world, they must leave it forever. Once in space, they learn that the entire galaxy is on the brink of war. As they try to navigate the precarious and volatile situation, they come to realize that it’s going to take more than two heroes to save everyone.